Leave Nairobi for hells gate,game drive,afternoon boat ride to cresent island for birding. All meals and overnight at a lodge or Campsite. Leave for Nakuru.Game drive and afternoon birding. All meals and overnight at a lodge or Campsite. 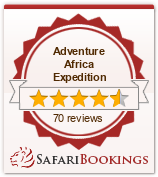 Depart for lake Baringo and Bogoria for Birding All meals and overnight at a lodge or Campsite. Morning boat ride to island for birding. All meals and overnight at a lodge or Campsite. Leave for Masai Mara. All meals and overnight at a lodge or Campsite. Full day birding in Masai Mara. Depart for Nairobi.Dinner at Carnivore restaurant.Overnight at a Nairobi hotel.